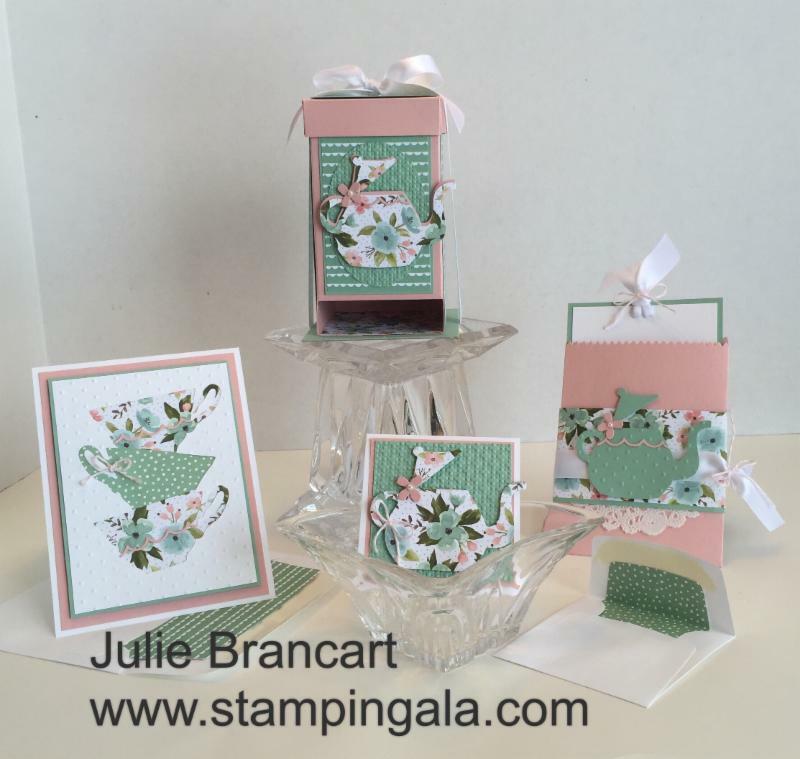 This class features the A Nice Cuppa Stamp Set and the Birthday Bouquet Designer Series Paper. It includes the tea bag dispenser and three cards. As well as lined envelopes. Monday, February 29 at 6:00 p.m.
Saturday, March 5 at 11:00 a.m. Please bring to class scissors, adhesive, dimensionals, bone folder and glue dots. What is your favorite type of card, simple or stepped up? Let a comment at the bottom of this post by noon on Sunday, February 28, 2016. I will pull one name at random to win a great prize. The winner will be announced on my blog Sunday evening. Learn to make this beautiful gift box and four Christmas Cards. Email me to register! !As always, thank you for choosing me as your Stampin Up Demonstrator! !